This spring is sort of boring when it comes to most video games. Because there are not a lot of big holidays around the springtime, developers don’t always put out the big and interesting games. Plus, many of the “new games” aren’t actually new but are old games being ported to the new systems. Some of these games include: Resident Evil 1 and 4, Assassin’s Creed III, and Final Fantasy X/X-2 HD Remaster. But, there are some new games coming out, and here are a few of the most interesting. The Mortal Kombat series has been a long running series of fighting games. They’re known for their very bloody fights that occur in the game. 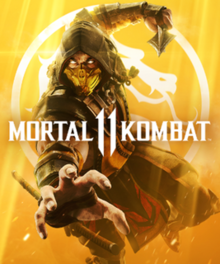 And because of this, most of the games are rated M. Mortal Kombat 11 was developed by Netherrealm Studios, and published by Warner Bros. Interactive Entertainment. The game is coming out for Nintendo Switch, Playstation 4, Xbox One, and Microsoft Windows. The current release date is set for April 23, 2019. 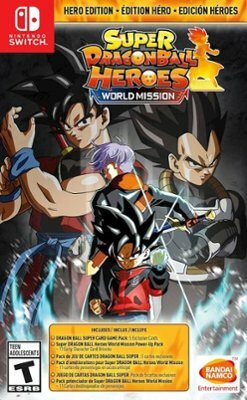 The Dragon Ball Heroes franchise up to this point has exclusively been in Japan. This is the first to be localized to the rest of the world. It is an action card game that creates what if characters and situations that aren’t originally used in the Dragon Ball manga or anime. So far, it is only being released on Nintendo Switch and Microsoft Windows, and is developed by Bandai Namco. It has recently been released on April 5, 2019. Originally, this game was made for iOS but was changed to an actual sequel to the original Super Meat Boy game. Super Meat Boy is a single player platforming game that is known for how difficult of a game it can be. The new game will now have new controls and randomly generated levels based upon the players skills in the game. The game is being developed by Team Meat, for iOS, Android, Linux, Microsoft Windows, Xbox One, Playstation 4, and the Nintendo Switch. It is set to release on the 29th of April, 2019.